When a small town is terrorized by an indestructible, demonically possessed car, it's up to the sheriff (Brolin) to stop it! 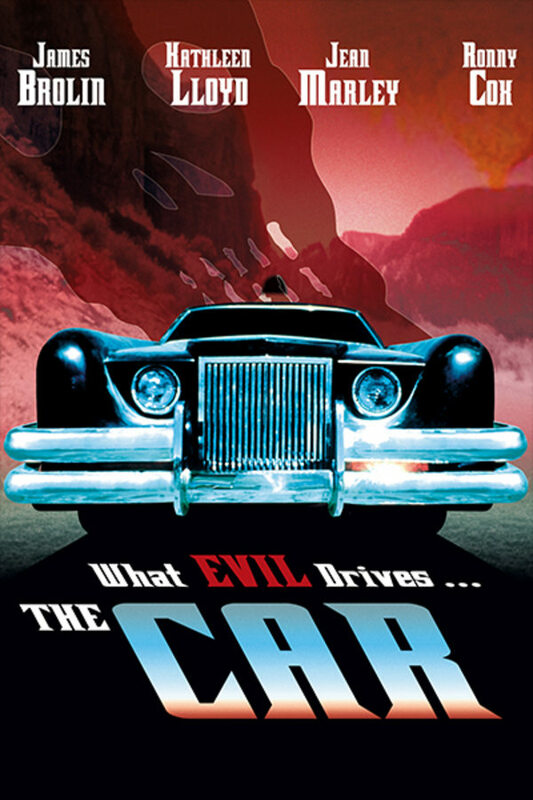 Dazzling chases, unforgettably frightening scenes, and a truly original villain combine to make THE CAR a chilling classic. A small town is terrorized by an indestructible, demonically possessed car. This was my first time seeing this and I loved it. This is a lot of fun and the video transfer is amazing. It's basically Jaws with wheels. I really enjoyed it. Great b movie, I’m from the town it was filmed in so it was extra cool seeing all the old places before it grew too big. I decided to give this a go since the boys at Junkfood Cinema have been singing its praises for years and it didn't disappoint. It places only behind Christine or maybe The Wraith in terms of killer car flicks. Check it out!